Congrats, new mama! It takes nine months to grow a human and can take even longer to get acquainted with your postpartum body. You’ve got much more important things to think about than worrying over what to wear, so let us help. Read on for our tips on styling your body post-baby! High-rise bottoms are the postpartum body’s BFF. Whether you prefer denim, leggings or skirts, a high-rise (or high-waisted) bottom helps to elongate your frame and smooth the midsection while also being extra comfortable. The best part? Higher rises are trending, so you don’t have to forfeit style-cred for comfort. 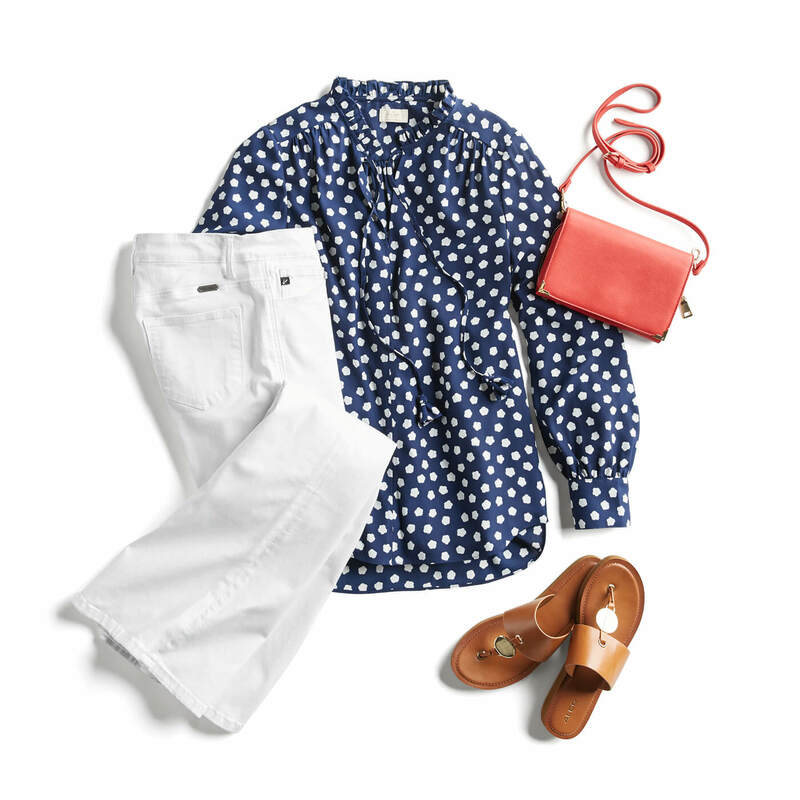 Pair that high-rise skinny with a flowy top to flatter the midsection and keep you comfortable from park to pinot. Opt for blouses that have spandex in the fabric so they are easy to move in and offer some shape. Knit t-shirt dresses are a great throw-on and Mom-on staple that can be styled infinite ways. For a laidback look, pair your t-shirt dress with a modern fashion sneaker or slides and an arm full of bangles. Leggings, joggers and performance wear, oh HI! These versatile active staples are perfect for staying cute and comfy on the go. 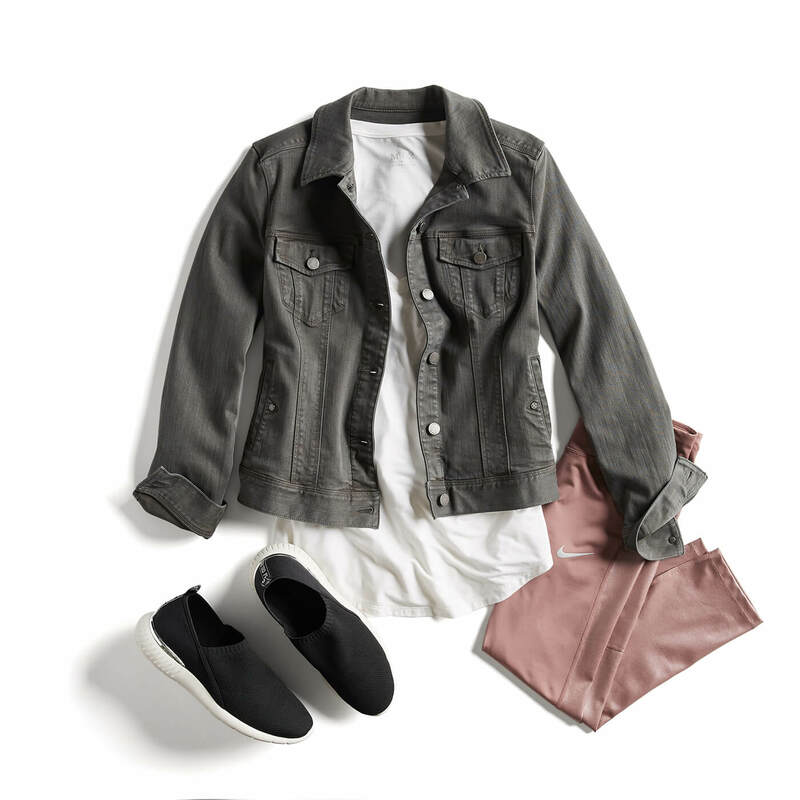 Partner a pair of solid joggers with a basic v-neck tee and canvas slip-ons, then add a fun g second layer, such as a printed bomber or colored denim jacket. In warmer climates, opt for a lightweight second layer such as a printed kimono or a chambray button-down shirt (pro tip: wear it unbuttoned for bonus breezy style points). In colder seasons, dig on dusters and boyfriend cardigans that can be added to any outfit. What are your favorite post-baby pieces? Let us know in the comments below!